Those words were true when Fairleigh Dickinson’s founder Peter Sammartino wrote them in 1972. And today, more than ever, they ring true, as the University has renewed its long-standing ties to the world body. 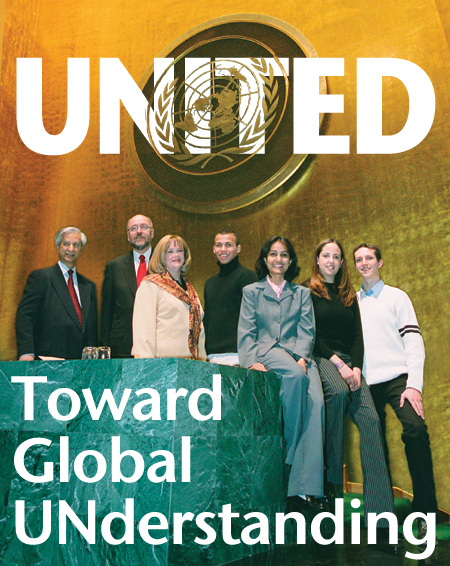 Ambassadors frequently visit the campus for a special lecture series, students and faculty enjoy privileged access to U.N. briefings and facilities, videoconferences are broadcast from the Manhattan headquarters to the University, students are interning at the United Nations, and a U.N. student club has formed. President J. Michael Adams and Michael Sperling, associate provost for interdisciplinary, distributed and global learning, along with Ahmad Kamal, senior fellow at UNITAR (U.N. Institute for Training and Research), president of The Ambassador’s Club at the United Nations and former ambassador of Pakistan to the United Nations, have been instrumental in forging close ties.